My Foster Daughter mixed the above ingredients with the addition of ground flaxseed. The consistency was not as thick as we expected so she spread the mixture in a 9×13 pan. 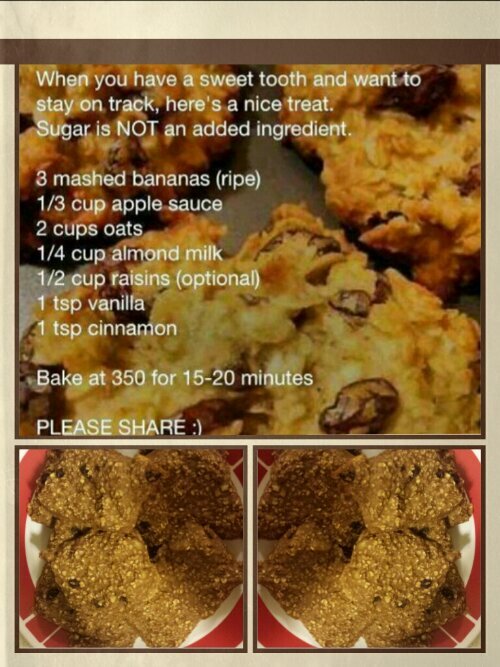 If not satisfying enough for a sweet tooth, I can see these treats being good for a breakfast on the go! This entry was posted in food and tagged food, health, nutrition. Bookmark the permalink. I’ve made these. Also tweeked the recipe. They are delish! What do you use in yours? Feel free to tweak the recipe if necessary. I thought about adding honey. Good idea! I have some raw local honey in the pantry!